Wearing mittens is a big transition for little ones. 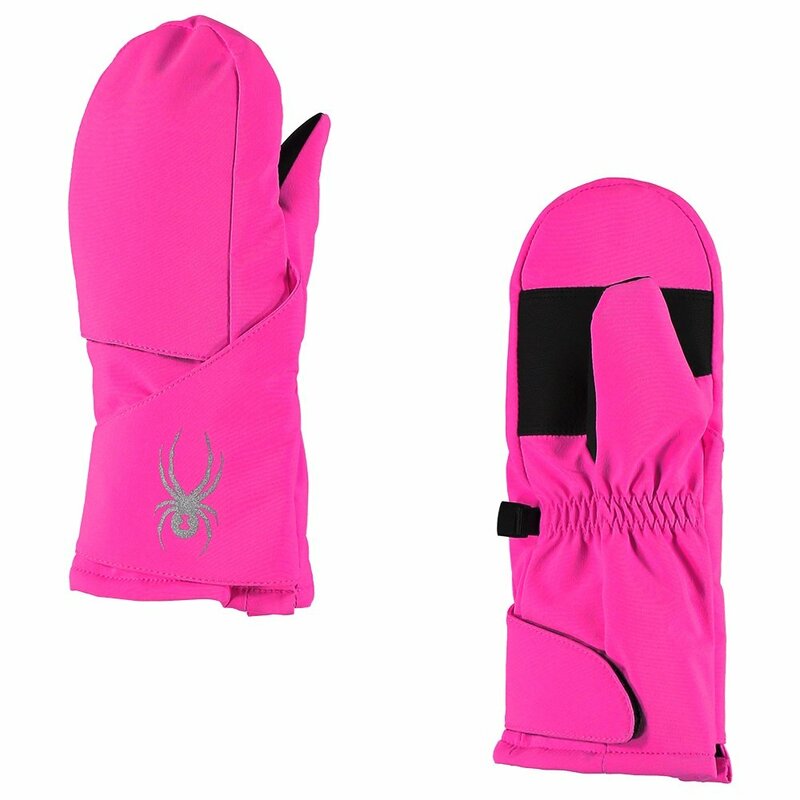 Spyder's Bitsy Cubby Ski Mitten makes that transition run smoothly, so those little hands can benefit from the warmth advantages of a waterproof mitten. Its large hook-and-loop closure makes it easy to get on and off. A synthetic leather palm adds dexterity so she's not all thumbs. The Bitsy Cubby keeps her warm with a combination of 10K-waterproof laminated stretch polyester, 200g insulation and a plush tricot lining. "what size mitten for a 3 year old"
"The best guide for mittens is to use the size chart measurements. Please check our size chart by clicking here "